Rwanda Revenue Authority suffered a second successive defeat at the 2019 Women’s African Club championship. 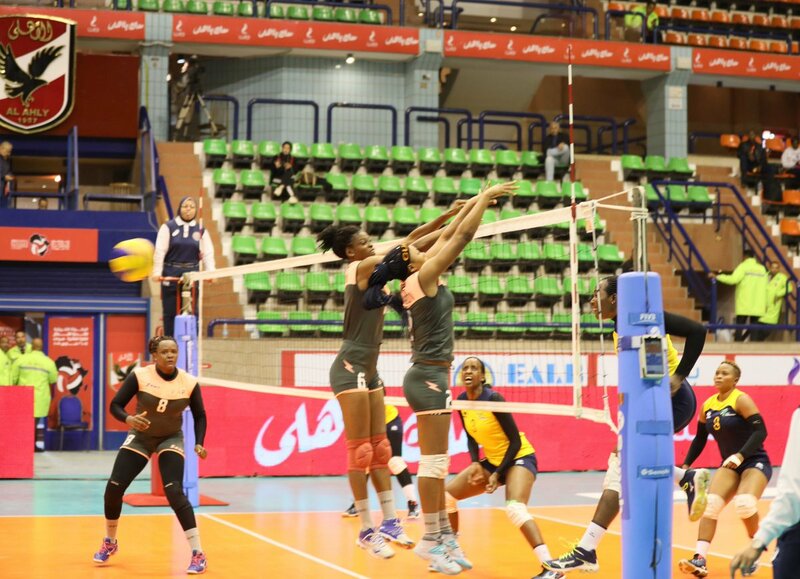 The Rwandan side lost 0-3 (28-30, 19-25 and 16-25) in straight sets to FAP of Cameroon in Pool C of the competition played on Monday at Al Ahly Hall in Cairo, Egypt. This is a second match lost in Pool C following Sunday’s opening match which they lost 3-0 to Kenyan side Pipeline. With two matches played in Pool C, Rwanda Revenue Authority has a 0-2 ratio and sits bottom of the standings while FAP leads the standings with six points, three points ahead of Kenya’s Pipeline who will face Egyptian side Shooting on Tuesday. The host side Shooting sit in third spot with no point following their 0-3 to FAP of Cameroon in their opening contest. Rwanda Revenue Authority will be back in action on Wednesday to wind up their group action with a tie against Shooting of Egypt. The best two teams from each of the four groups will advance to knock-outs, starting from the round of last eight on Thursday.